Our ancient sisters and brothers practiced a simple rhythm of life which enabled them to encourage one another in faith, hope and love. The dining table is a spacious place where spiritual friendships are formed, nurtured and life is shared in mutually comforting ways. Friendship is the way we concretely know presence, grow in compassion, offer ourselves for the sake of others, and to remind ourselves of our first and truest identity which is situated in Christ as beloved children of God. One of the desires that emerged from our recent Focus Groups discernment process was for intimate community gatherings that would foster supportive spiritual friendships. 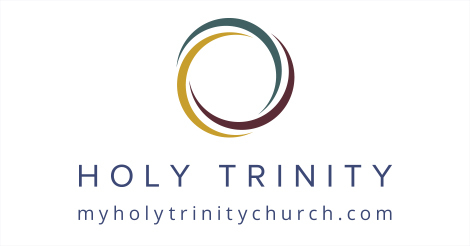 Holy Trinity is experimenting with one way to develop that desire through a ministry called Sacred Suppers. Once a month intimate circles of people will gather in various homes around the county and share a simple meal. We’ll read a story of a saint – sometimes ancient and sometimes modern – and reflect on the character trait that saint exemplifies. The meals will be creatively shaped by a liturgy of communal prayers and conversations about our own lives. A time of fellowship, food, and spiritual formation in the context of community. Hosts will provide soup and participants are invited to bring appetizers, bread, salad, beverage or dessert. The suggested time frame is 6:30 – 8:30pm. The companion booklet for each person is $5. Pick one up at the Welcome Table. Each participant is encouraged to read in advance the brief material provided and be prepared to share the impact reading that story has in their life. In order to build community, participants are asked to make a quarterly commitment. There are 3 suppers, one per month, during a quarter. Sign-ups will be on a first come basis on the patio after church or by contacting the church office. While some may wish to remain at the same host home for more than one quarter, some may choose to switch homes/days at the end of a quarter. We will take a summer break and resume our suppers in the Fall. Bill Ditewig for more information.